Fowler Pickert Eisenmenger Norfleet is a personal injury law firm dedicated to representing injured people and their families. We handle a wide variety of personal injury matters with a significant portion of our practice being devoted to medical malpractice and nursing home abuse-and-neglect cases. 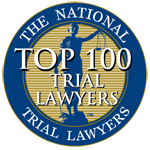 Our clients have the unique advantage of having dedicated and experienced trial attorneys on their side, and our philosophy is simple: obtain exceptional results for our clients. 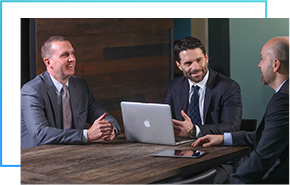 Ryan, Tom and Spencer have over 25 years of combined litigation and trial experience. All have significant experience in all facets of personal injury and wrongful death law, including involvement in several multi-million dollars settlements and serving as trial counsel in numerous high-dollar jury trials in both Missouri and Kansas. Before forming Fowler Pickert Eisenmenger Norfleet, Ryan, Tom, and Spencer gained significant litigation and trial experience as insurance defense attorneys representing hospitals, long-term care facilities, nursing homes, physicians, and other health care providers in negligence and medical malpractice actions. 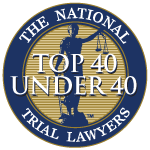 They have a good understanding of how defendants, their insurance companies, and their attorneys evaluate and handle their cases. This knowledge gives our clients the advantage of knowing when to settle and when to go to trial. If you or your loved one has been hospitalized or suffered significant injury or death due to another’s negligence, we encourage you to contact our law firm. We have substantial experience in handling personal injury and wrongful death cases and understand the complex legal and medical issues involved. With every case, we are mindful that it represents the client’s and his or her family’s one and only chance to obtain justice, so we take our role as legal counsel seriously. We make ourselves available to each client and ensure that he or she has a clear understanding of what is going on with their case at each stage of the process. We approach every case in a strategic and thoughtful manner. Our past experience as insurance defense attorneys gives us a truly unique perspective—we understand how the other side is looking at the same case. Before accepting a case, we carefully evaluate the facts and circumstances surrounding the claim and make an initial determination if we believe the case has merit. When necessary, we will have the case reviewed by an appropriate expert to assist in this determination. We will not accept a case that we are not behind 100% because we know that every case has to be handled as if it is going to trial. Once we accept a case, we dedicate our full attention and resources to it. We are not a “high volume” firm and will only take on a limited number of cases at a time to ensure that each case gets the attention it deserves. Whether through settlement, arbitration award, or trial verdict, we are committed to maximizing our client’s recovery. To this end, we prepare each case for trial and will not hesitate to go to trial if necessary. Our significant litigation and trial experience is distinct because much of it involved representing nursing homes, health care providers, and their insurance companies. This gives us a unique and invaluable perspective which assists us in providing skilled advocacy to those who have been injured. We also bring a sense of energy and passion to every case we handle.